Why my dental crown came off? 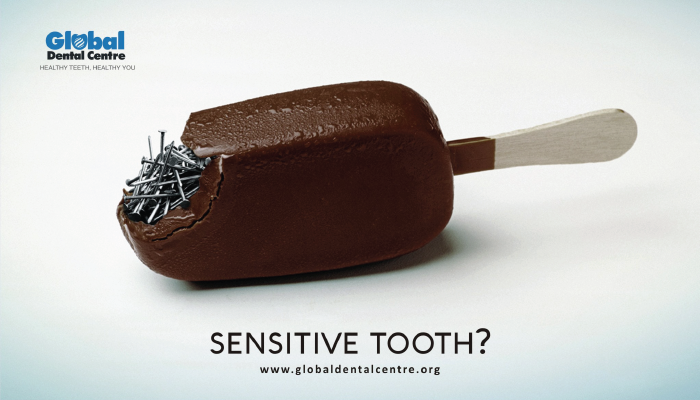 If the intake of ice cream or cold drink creates tooth pain, you may have sensitive teeth. But don’t worry. This common condition, which affects, 1 out of 3 Indians these days is treatable. Understanding potential causes of sensitive teeth is a key to alleviating pain. If left untreated, sensitivity can worsen and progress to the point where you avoid certain foods and drinks. What are the symptoms of sensitive teeth? Symptoms of sensitive teeth are basically variations in sensation causing discomfort after eating or drinking something cold. This pain can occur suddenly, and the degree of sensitivity can be mild, moderate, or severe. In case of severe pain you might end up removing immediately whatever is stimulating it from your mouth. Sometimes your doctor might ask you to rate your sensitivity or pain on a 1 to 10 scale. Point pressure is one kind of sensitivity that your dentist can test for using a probe called an explorer. Some people with tooth sensitivity also have pain while brushing or flossing, so it’s important to find a cause and start treatment. Experiencing pain while brushing or flossing may lead to poor dental hygiene. 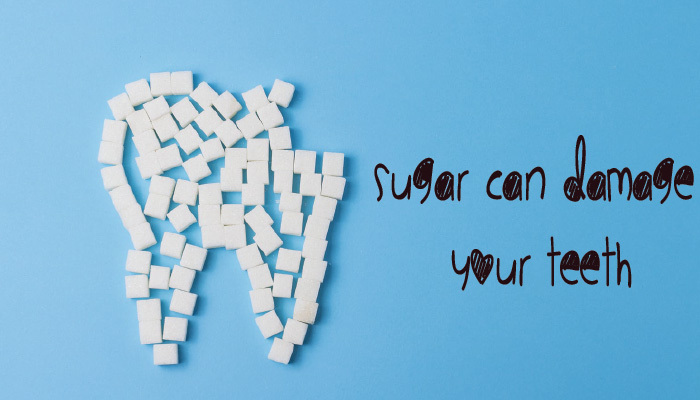 This can trigger further dental problems such as gum disease and cavities. Vigorously brushing your teeth with a hard-bristled toothbrush can gradually wear down tooth enamel. This is the outer layer of the tooth which protects the inner layer.Worn tooth enamel can gradually expose the dentin layer of your teeth, which is the second layer where the nerve endings are. Drinking or eating something cold could irritate the nerves and cause sharp, intermittent pain in the mouth. Consumption of acidic food can wear down enamel and exposed nerve endings. Examples of acidic foods include lemons, oranges, grapefruit, and kiwi. We suggest you to consume acidic foods in moderation, especially if you develop sensitivity. You use tooth-whitening toothpaste or mouthwash. Whitening toothpaste can give you a brighter smile, but you may be sensitive to chemicals in these whitening agents. Regular use can cause discomfort and sensitivity. Mouthwashes containing alcohol can also make the teeth sensitive to cold especially if your dentin is exposed. Instead, try neutral fluoride rinses or simply skip the rinse and be more diligent about flossing and brushing. The purpose of regular brushing, flossing, and dental cleanings is to remove plaque and avoiding gum disease. An excessive buildup of plaque can cause tooth enamel to wear away. This can also build up on gumline, causing infected and inflamed gums. This can eventually damage gum tissue, causing gums to recede and expose nerve endings on the root. The solution is to practice good daily dental care and visit your dentist for cleanings every six months — or more frequently if necessary. Grinding your teeth while sleeping can also wear down tooth enamel and expose dentin. If not corrected, teeth grinding can cause sensitivity whenever you drink or eat something cold. There is decay around the edges of fillings. An untreated cavity or a worn dental filling may also expose nerve endings in a tooth. And when exposed to coldness, you may feel pain or sensitivity in the affected tooth. What is the treatment of sensitive teeth? If fluoride varnish is applied to the sensitive teeth in your mouth, this can help to reduce some of the pain and discomfort by strengthening your enamel and dentin. The same goal can be accomplished by having your dentist apply a fluoride gel to your mouth for five minutes. You may also receive a prescription strength fluoride paste and a fluoride rinse. Highly acidic foods and drinks wear away your teeth’s enamel, leaving you susceptible to tooth sensitivity and tooth decay. We suggest eliminating acidic foods from your diet , this can help in eliminating tooth sensitivity. Changing how you brush your teeth can also eliminate sensitivity to cold. Switch from a hard-bristled toothbrush to a soft-bristled toothbrush, and don’t brush too vigorously. Be gentle and vary the motion of your toothbrush That’s because too-tough brushing can cause your gums to pull away from your teeth, exposing the nerve and setting you up for tooth pain. If you grind your teeth — a condition called bruxism — you can wear down the enamel, which could trigger sensitivity, talk to your dentist about being fitted for a mouth guard that you can wear while you sleep. Signs of grinding your teeth while sleeping include face pain, headaches, earache, and a stiff jaw. If you have sensitive teeth because of exposed roots, bonding agents can be a very good solution. In this type of case, your dentist will help you by using a particular sealant or resin to cover the area that is causing you to experience pain, sealing the surfaces and thereby blocking exposure to the causes of sensitive teeth. A gum graft alleviates pain by removing gum tissue from another part of the mouth and attaching it to an exposed area. 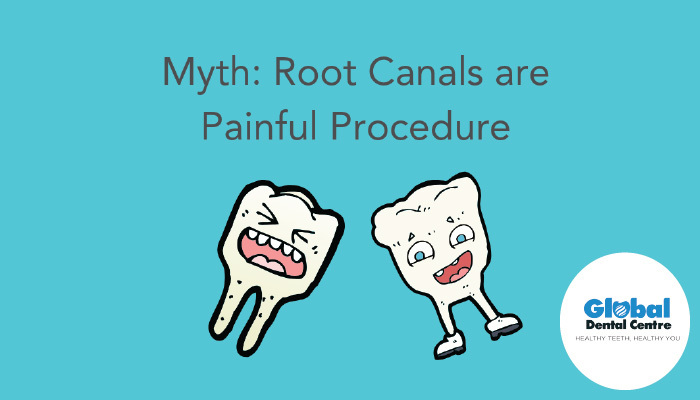 A root canal treatment can also effectively compensate for sensitive teeth by removing the soft pulp inside the tooth. Treatment can completely get rid of sensitivity to cold. You’ll need to speak with your dentist and get to the root of the problem before discussing treatment options. Keep in mind that tooth sensitivity may return if you don’t modify your dental habits. To avoid future problems, continue practicing good dental hygiene. This includes brushing and flossing daily, and scheduling dental cleanings every six months. Also, limit acidic foods, use teeth whitening products sparingly, and wear a mouth guard if you grind your teeth. For dental solutions, you may contact our specialists at 9893499099. Spot on with this write-up, I really assume this web site wants much more consideration. I’ll probably be once more to read far more, thanks for that info.